In this widely hailed book, NPR correspondent Tom Gjelten fuses the story of the Bacardi family and their famous rum business with Cuba's tumultuous experience over the last 150 years to produce a deeply entertaining historical narrative. The company Facundo Bacardi launched in Cuba in 1862 brought worldwide fame to the island, and in the decades that followed his Bacardi descendants participated in every aspect of Cuban life. With his intimate account of their struggles and adventures across five generations, Gjelten brings to life the larger story of Cuba's fight for freedom, its tortured relationship with America, the rise of Fidel Castro, and the violent division of the Cuban nation. Tom Gjelten is a veteran correspondent for National Public Radio on international issues and a regular panelist on the PBS program Washington Week. His reporting from Bosnia won him George Polk and Robert F. Kennedy awards. He is the author of Sarajevo Daily: A City and Its Newspaper Under Siege. He lives in Arlington, Virginia, with his family. "The Bacardi liquor story is every bit as engaging as Cuba's tumultuous political history, and both narrative strands are inexorably intertwined." 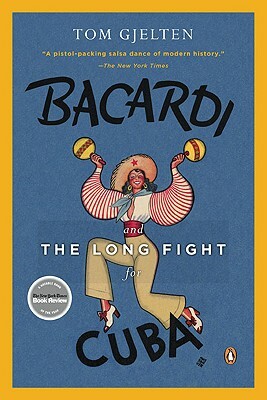 "A gripping saga that tells us just as much about human nature and the struggle between power and freedom as it does about Bacardi's transformation from a fledgling business into the world's top family-owned distiller." "It's hard to imagine that any [Cuban history] is as enjoyable . . . as smooth and refreshing as a well-made daiquiri."